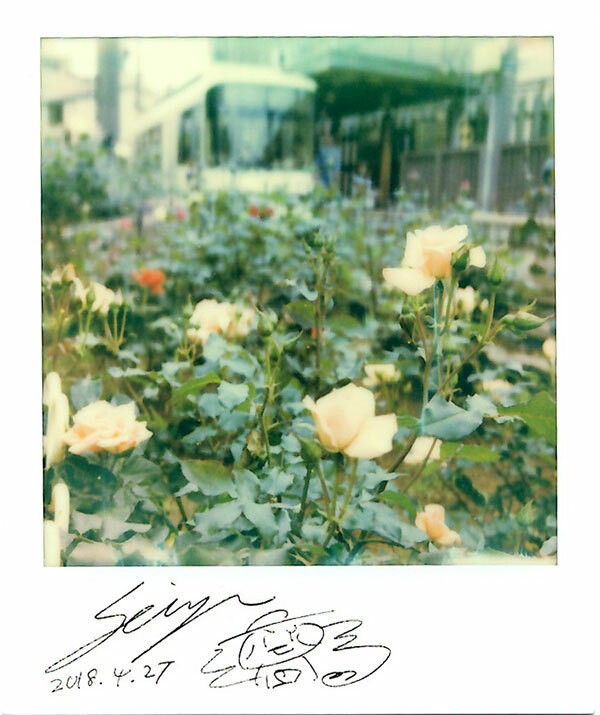 I walked around Minowabashi with my Polaroid. First of all,I tried to make original pictures to sell in my gallery. So,I choose a Polaroid camera. However,when I select pictures very carefully,I feel attachments to the pictures. Today's subject is roses which begin to bloom. The brilliant season is just round the corner in Minowabashi.